Many people who exercise don't understand the benefits of cardio and weight training done in combination. Many either cardio or strength training alone. However, fitness experts highly recommended that both be integrated into an exercise routine in order to lose weight, build muscles and stay healthy. Modifications can be made to your exercise routine in order to incorporate both styles of exercise into your daily workout. Scheduling fitness training properly is important. By seeking the help of apersonal trainer in Foxboro, MA to help you arrange your workout schedule for both cardio and weight training. It is recommended that you strength train three times per week and do cardio exercises on non-lifting days. Performing them alternately will make both styles of exercise more effective to reap the most benefit without overworking your muscles. Combining cardio and weight training is the ultimate workout to help you reach your fitness goals. Personal trainers can custom-create a routine to properly integrate both into your daily workout. Contact Answer is Fitness for information on how our personal trainers can help you create the perfect workout plan for your goals and your lifestyle. Kickboxing used to be a more male dominated exercise. However, in recent years this group exercise class has become a popular fitness trend for women. More ladies are learning these drills because of the numerous benefits that are gleaned from this form of workout. For an intense, exhilarating and fun type of exercise, this fitness program can help women burn substantial amounts of calories. Group kick class in Foxboro, MA is a full-body workout that enables women and men to improve flexibility and coordination as well as improve their cardiovascular capacity. This group ex class also includes footwork that keeps your heart pumping while it melts up to 450 calories in just a half hour class. The varieties of form and moves helps tone muscles in both the upper and lower extremities. Women can take advantage of this class and learn mixed martial art techniques and self-defense variations that will help them feel stronger and more satisfied with their workout. This can help develop and boost self-confidence as they learn how to punch, block and kick while getting a stronger and leaner body. If you are interested in a workout that is fun, effective, and empowering, contact Answer is Fitness. 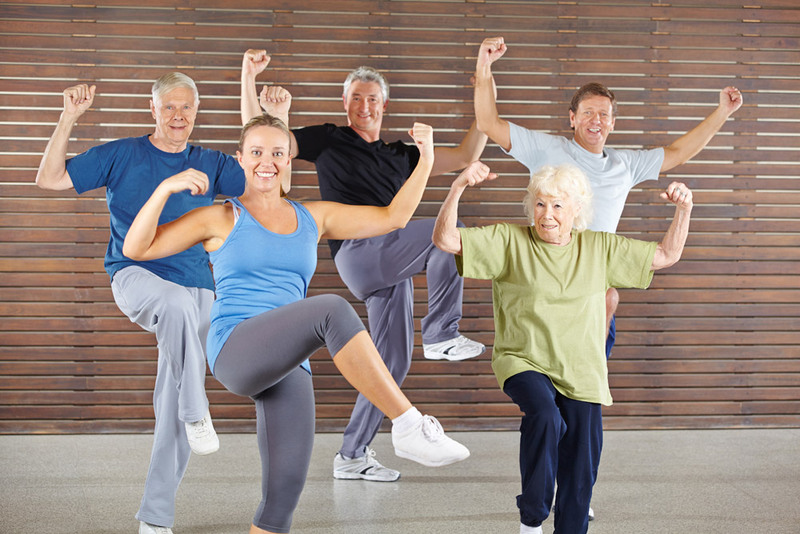 Most everyone knows that staying active can keep both mind and body healthy as we age. Recent studies have proven that most types of exercise can help reverse or slow the aging process in the brain. Dancing, in particular, has an anti-aging effect on the hippocampus, the region of the brain that is responsible for memory, learning, and balance. Zumba fitness is a form of dance exercise from which people of all age can benefit. Zumba is particularly beneficial for seniors because it is less intense on the joints and the dance steps are easy and fun to perform. The study has shown that notable cognitive improvements were seen in those who participated in the research. With these numerous health benefits of zumba fitness class, you can help yourself and those you love live full lives through an active lifestyle. Contact Answer is Fitness to sign up. Hitting the gym at a convenient time is now possible, thanks to 24/7 gym access in Foxboro, MA. This is a great benefit to members who wants to get in shape but who can't or don't want to exercise during the more traditional open hours. With Answer is Fitness in Foxboro now open around-the-clock, gym members can fit in their daily workout using the gym equipment and tools, regardless of the time. 24/7 gym access allows gym members to maximize the gym. We understand that personal lifestyles, habits, and work schedules are not always convenient to working out. Although fitness is important to, life will often take priority which can interfere with daily workouts. With 24/7 fitness service, gym members have fewer excuses to get out of going to the gym. This gym benefits allows more people to stay active and have a healthy lifestyle. Contact Answer is Fitness and sign up now for regular membership!